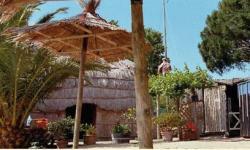 Le Snack du Terroir at the L'Ile aux Loisirs in Leucate offers a wonderful place to relax and enjoy a snack or drink in-between all the wonderful activities on offer. Enjoy languishing on the shaded terrace and enjoy delicious meals while enjoying wonderful views over the lake. 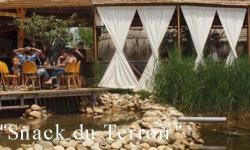 Le Snack du Terroir offers a welcome respite from the sun and all activities available at the L'Ile aux Loisirs.